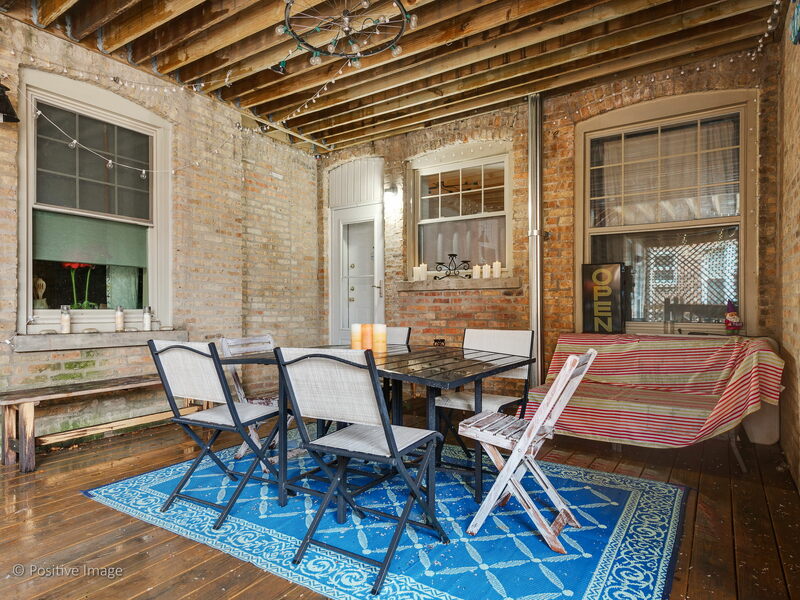 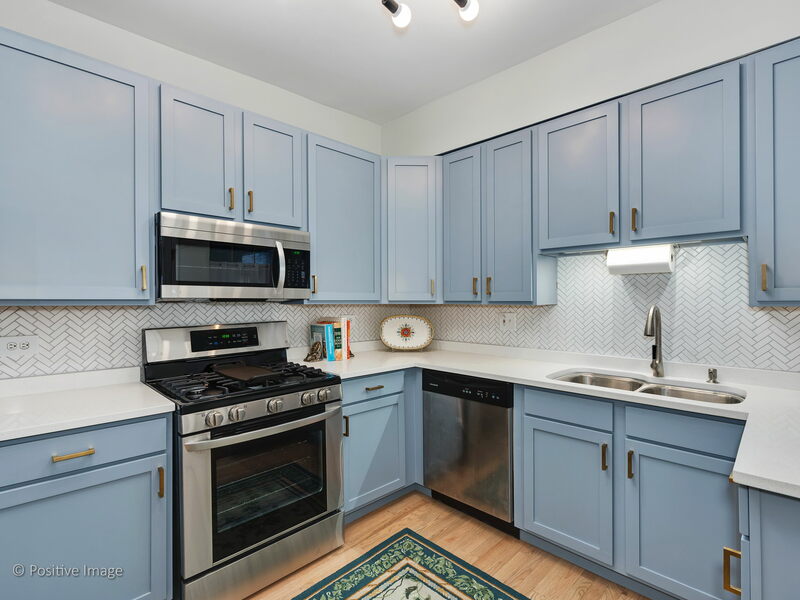 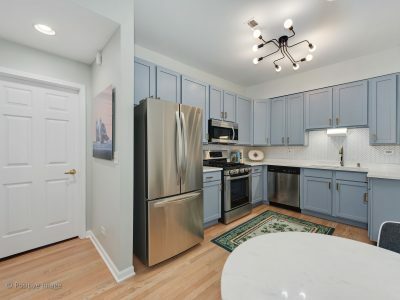 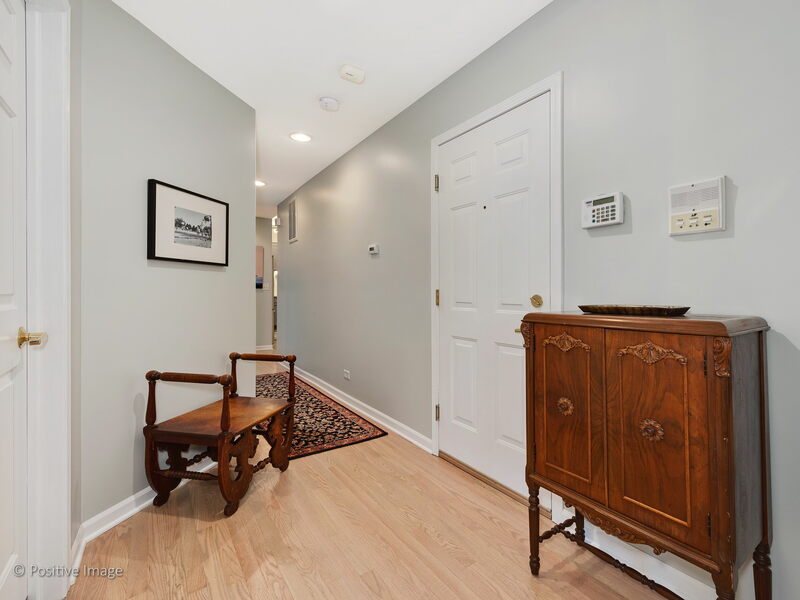 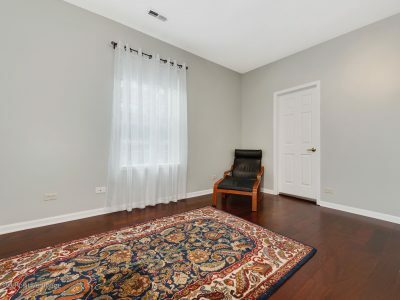 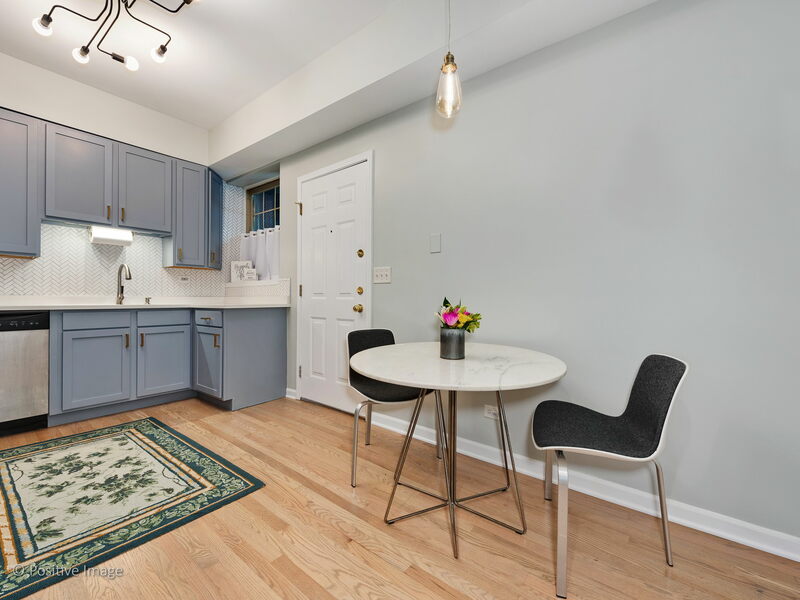 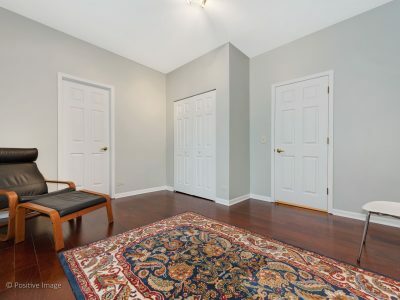 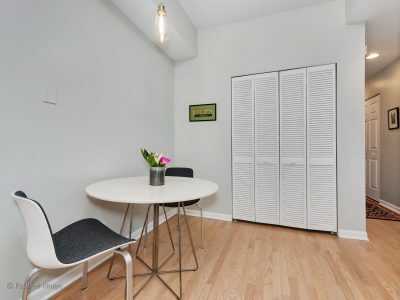 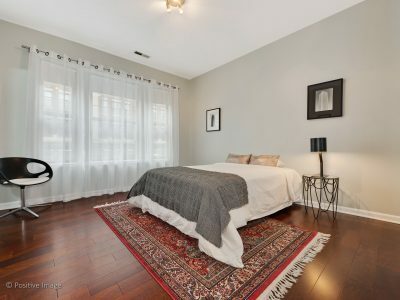 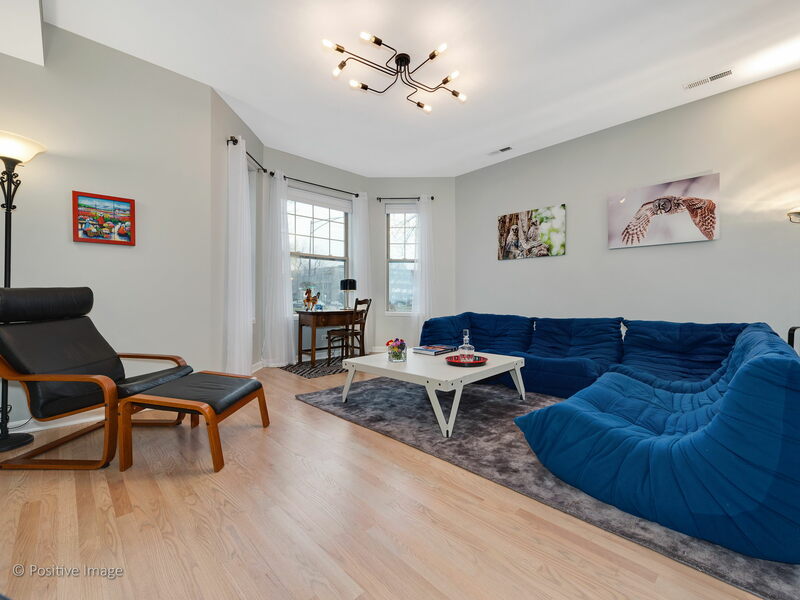 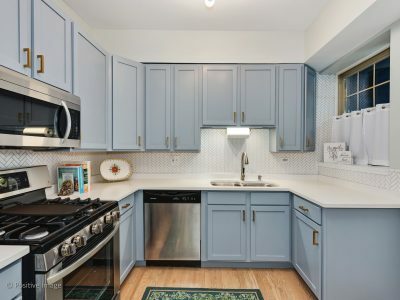 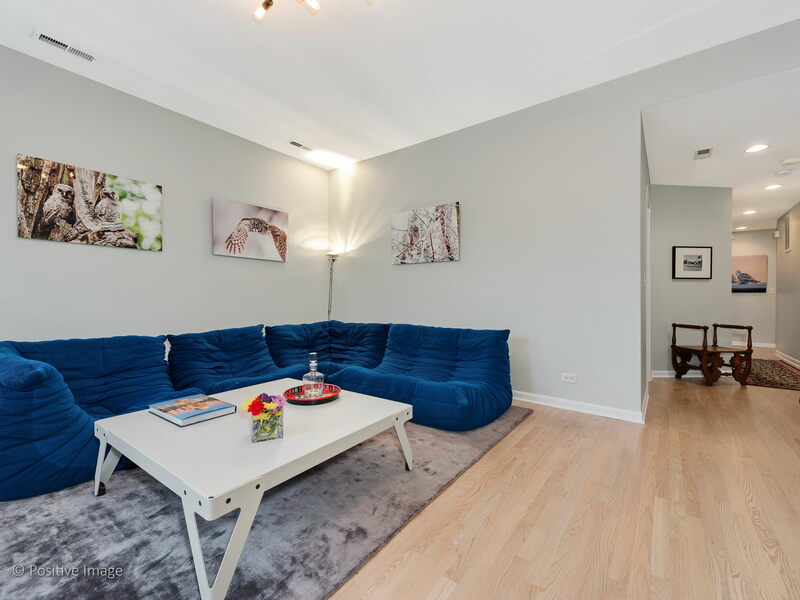 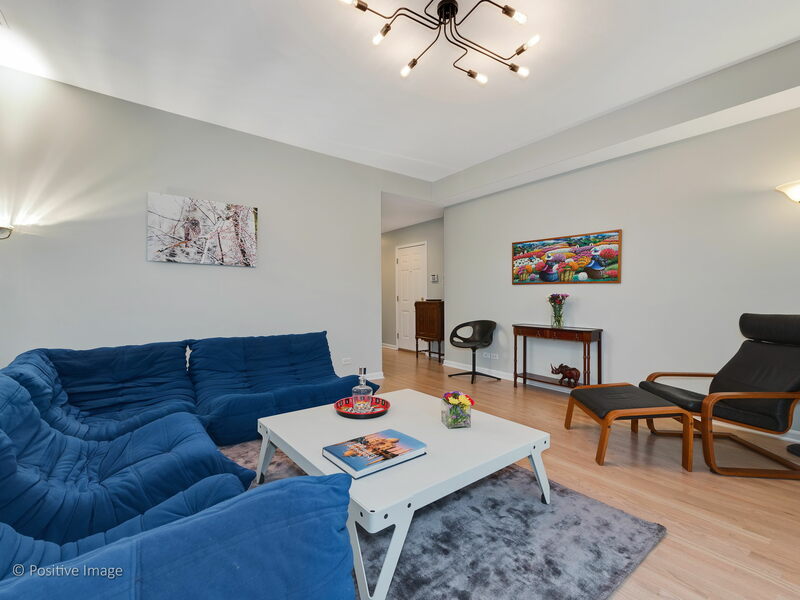 Beautiful, recent rehab of this big, sunny corner condo in the best location in Logan Square! 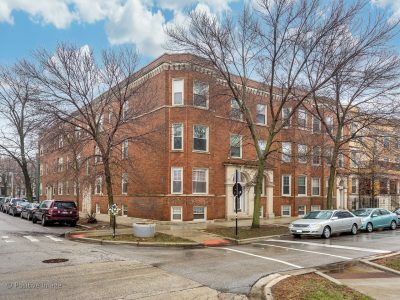 Overlook the trees and grassy lawn of Kedzie Blvd from a large wall of west facing windows. 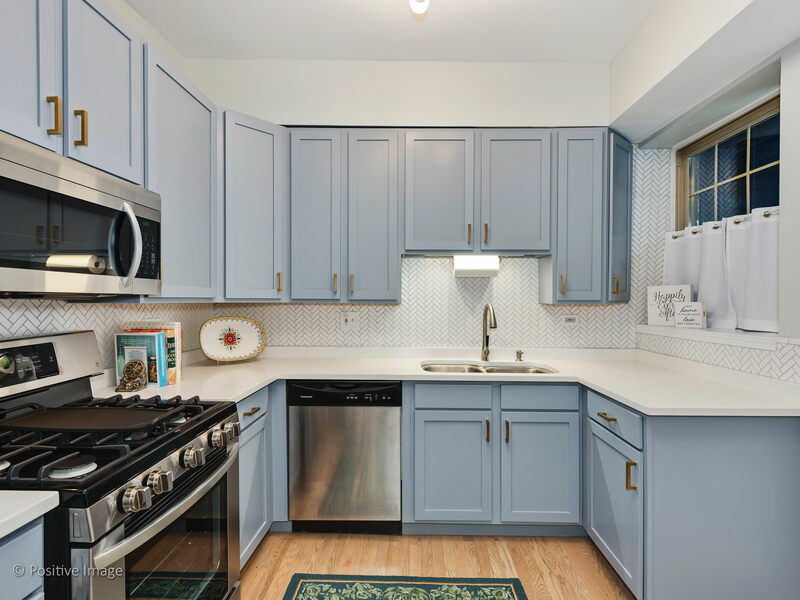 Kitchen is a dream, with room for a dining table, on trend colors and all new finishes, and walk out to a big deck just off the kitchen. 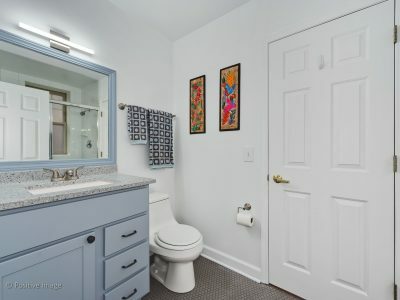 Bathrooms also updated with on trend finishes and fixtures. Hardwood flooring throughout. 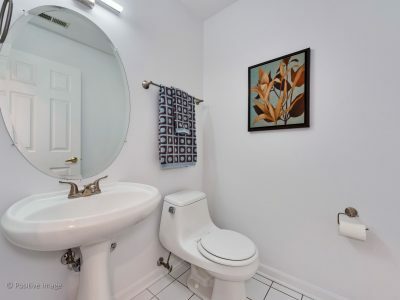 Central heat and air, in unit laundry, prime deeded parking space in the gated lot. 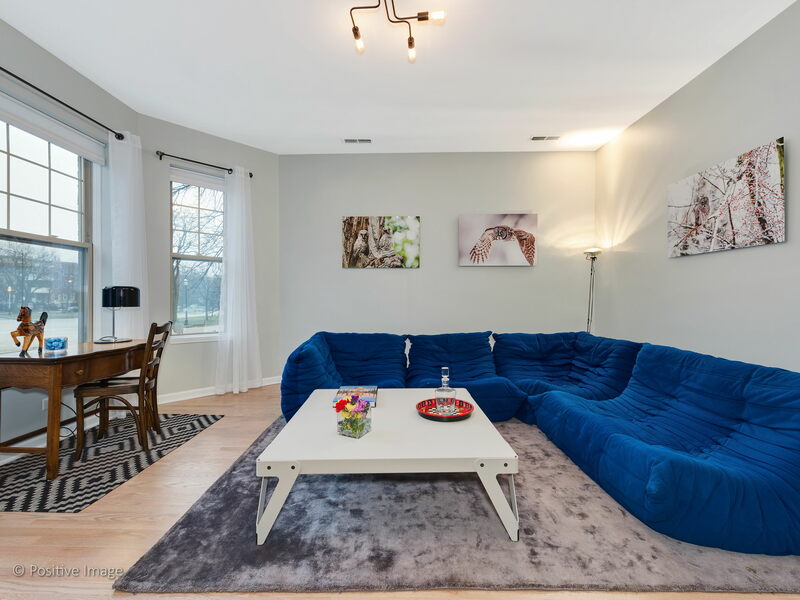 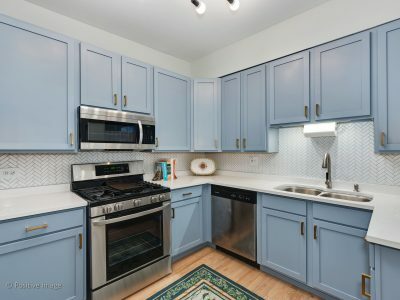 A gem of a condo in hot Logan!